What’s the trendy hairstyle right now? Is it the perm? A natural wave? Bangs? Whatever it is, Beyoncé has just brought back the wavy blonde lob, but this time with a major ’80s twist. Earlier this month Beyoncé rocked her long natural hair, and it was stunning. Now she’s got a short shoulder-grazing curly lob that appears naturally sunkissed. The whole look is very *just rolled out of bed* and we prefer it to the expertly manicured Kardashian-style waves that have dominated the lob for the last few years. Beyoncé actually ushered in the ~blonde lob era~ in her 2014 video for “Flawless,” where she sported a bright blonde beach wave lob. Since then, women have been flocking to their hairstylists asking for wavy highlighted tresses that sit just above the collarbone. Beyonce’s new hair surfaced on the popular fan Instagram account Beylite. In the new photos she rocks a middle part and curly hair, with some blonde highlights placed around the face. The look is also giving us YAS ’80s PERM vibes. We love that Jay-Z took these photos — what a dutiful Instagram husband. 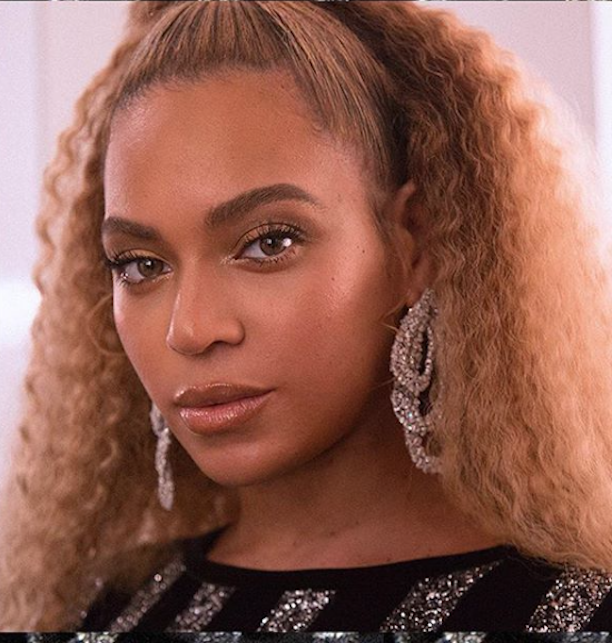 On December 8, 2018, Beyoncé’s stylist announced that this look was all natural. And now here we are, back to ultra-short hair. Is it just us or does her new look tread into her sister Solange’s vibe? Not the same, necessarily, but it’s almost creeping into Solange’s aesthetic lane. Regardless, we love B’s new look and judging by the comment section, the Beyhive approves too.